Journey through the traditional towns and villages and rural landscapes of Laos and Cambodia. Experience Cambodia's staggering 12th century site of Angkor Wat. Enjoy a personal encounter with Asia elephants at elephant camp. Hike across bamboo bridges, past waterfalls, and fantastic limestone formations. 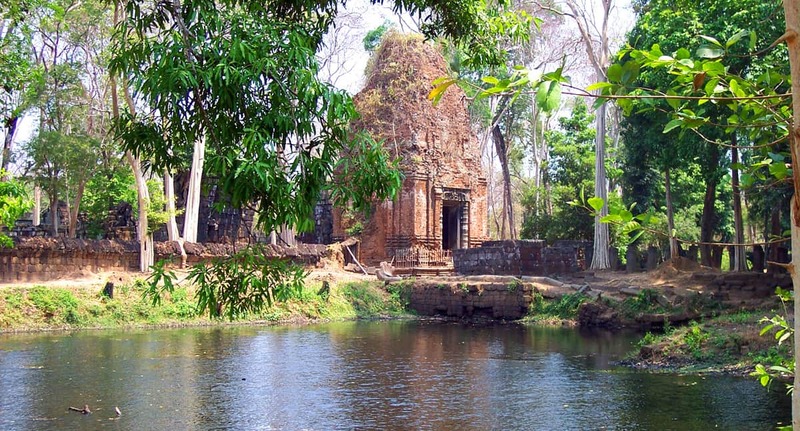 Raft down Nam Khan River and take a quad bike into the forest to reach a nearly forgotten temple. Visit organic farms and rice fields in the heart of Cambodia. Discover Laos' relaxed capital of Vientiane and the temple-rich city of Luang Prabang.